We’ve got more Trials HD remakes, two of which were custom tracks, one that shipped with the game. We also go back to 1992 with a Jezzball remake, visit a construction site, and a cave, and start seeing red. To download these tracks by entering Track Central, selecting Get Tracks, then pressing X to search. Enter the gamertag below to find the track. Be aware that the search is case sensitive. A big thanks to the Trials Evolution community for the borrowed videos. Hit the jump to see this week’s picks. LynxBall v4 is a clone of the classic Windows game Jezzball. That being said take a look at beginning of the above video to see the amount of visual scripting that went into this baby. It’s impressive, and it’s a fun little distraction. 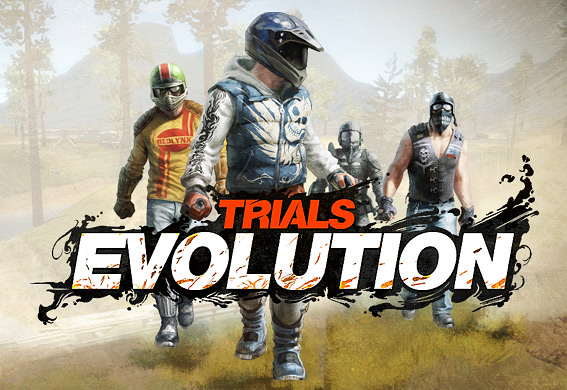 We’re really digging this trend of recreating old-school games in Trials Evo. Technically Red oozes strong aesthetics. It’s a lot like Dark City Run in that respect. It may not be that diverse, but it flows well and fits perfectly into its difficulty level, unlike many tracks we come across. No need to bore you with words here, we’ll just say that we like the Indiana Jones-esque cave-ness to this one. Yes, yes, 1000x yes! Keep the Trials HD remakes coming, folks. We’re all for having essentially two games in one package. We’ve featured Shola123’s tracks before, and he’ll be one to watch in the future. Shola’s focus seems to be remakes, so we’ll be waiting to see what else he cooks up. Why is it that hillbilly havens seem to make great settings? Maybe it’s the lovable settings, maybe it’s the fact that we love Dukes of Hazzard, but whatever it is we’ve fallen in love with Country Fried Chaos. It’s got all those little things that give it a RedLynx quality feel–it flows well, has great ambiance (such as the train) and even has a fun finishing sequence. Be sure to stick around for the latter half of the video to see just how much work went into this track. CrowsBeak says it’s basically a remake of a previous Trials HD creation, but if so the bar was really raised for this one. This is what really happens at sunrise in an in-development housing edition. The next time you re-roof your house look for tire marks. Here we have another of only a few Trials HD custom track remakes. We never played the original, but we love it in Trials Evo. And–just a suggestion here–this would make a great Supercross track. We’ve taken a look at all the suggestions given so far and will be featuring the best. If you know of a track that you think hasn’t been suggested list it below. We’re always up for playing great new tracks.